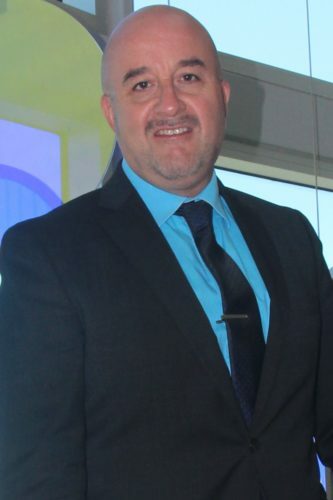 Since 2001 Cliff has led the International Trade Center SBDC, which is the largest and most successful international trade assistance organization in Texas. He has led multiple U.S. State Department projects that advised and assisted the governments of Honduras, Guatemala, Costa Rica, Panama, the Dominican Republic, Colombia, Chile, Belize, Jamaica, Barbados, Dominica, St. Lucia and Tunisia on adapting and developing small business assistance programs based on the proven U.S. Small Business Development Center (SBDC) model. Furthermore, he has conducted over 55 SBDC Counselor and Director Certification Training Programs that transfer the SBDC model to over 10,000 professionals from the government, higher education and private sectors from throughout the Americas. Cliff has also provided consulting and advisory services for foreign governments on how to adopt the SBDC model throughout the start-up, transfer, pilot implementation, consolidation and internationalization phases of development. Berenice is a Sr. International Business Advisor, at the International Trade Center. She holds a bachelor’s degree in Management with concentration in International Business from the University of Northern Iowa, and is a Certified Global Business Professional. She joined the International Trade Center in 2005 and has also served as International Market Research Specialist, Interns Coordinator and Client Services Coordinator. She is a member of the North American Small Business International Trade Educators. She is bilingual and bicultural having worked and lived in both the United States and México. Berenice is a Certified Global Business Professional. Julio is a Sr. International Business Consultant at the International Trade Center. At the Center he works with the SBDCGlobal program to train foreign governments in Latin America on how to set up US model SBDC networks. He also provides international trade-consulting assistance for small and medium size businesses. Julio earned a bachelor’s degree in Merchant Marine from the University of A Coruña and worked as deck officer on board 4 vessels of the Spanish Merchant Marine fleet. He has studied different fields of global trade, obtaining a degree in International Shipping as well as having received his license as a Freight Forwarder, Transport Agent and Wholesaler. In 1994 he was awarded a scholarship to support the activities of the Commercial Service of the Spanish Embassy to Mexico. 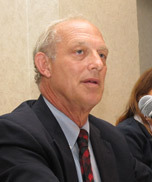 While in Mexico he was involved with several different businesses and was later in charge of Industrial Expansion Program at the Universidad Veracruzana (UV) in Veracruz. In that position he also helped create the Mexican Association of Small Business Development Centers (AMCDPE). 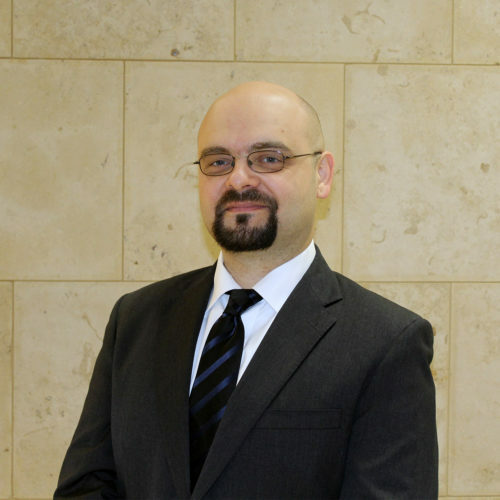 Julio is a Certified Global Business Professional (CGBP) with more than 15 years experience helping small businesses positioning their products and services in the global market. He is a believer that promoting business success is a way to tackle social inequalities and promote business opportunities for American People. Minerva Garcia is a International Business Consultant at the International Trade Center. She has been involved in technology commercialization programs and consulting services for more than 11 years. Her international experience includes many projects in the European Union and Latin America. Since 2006, when she joined the International Trade Center, she has been actively involved in the U.S. SBDC Network expansion into Mexico and Central America. 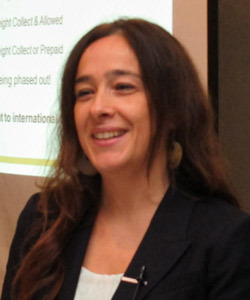 Prior to joining the International Trade Center, she worked as a Technology Consultant at the Technology Transfer Office at the University La Laguna in Spain. She also worked at the Treasury Unit at the Budget Directorate in the European Commission in Belgium and as an Accounting-Finance Consultant at ATL Consultants in Spain. She holds a M.S. in Management of Technology from the University of Texas at San Antonio and is a Certified Global Business Professional. She was born and raised in the Canary Islands, Spain. She is fluent in Spanish, English and German and has traveled and lived in many European countries. Maria Jose Buendia is an International Business Advisor with the Texas International Business Accelerator (TIBA) in San Antonio. Under this position, she advises and guides foreign entrepreneurs and investors in establishing their business in the state of Texas. 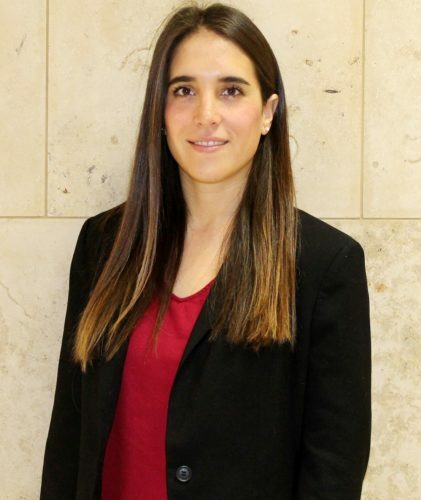 Maria Jose Buendia joined the TIBA team in 2011 as a Foreign Investor Specialist. She conducted market and financial research and wrote extensive market analyses and business plans for foreign investors. In 2013, she continued to extend her professional career and worked for an international logistics firm as an Operations Coordinator. Maria Jose coordinated land, air and ocean freight shipments from all over the world. In 2016, Maria Jose returned to the International Trade Center as an International Advisor for the TIBA program. Maria Jose holds a Bachelor’s degree in Business Administration with a concentration in Finance from the University of Texas at San Antonio. She is bi-cultural, born in Mexico and fluent in both English and Spanish. 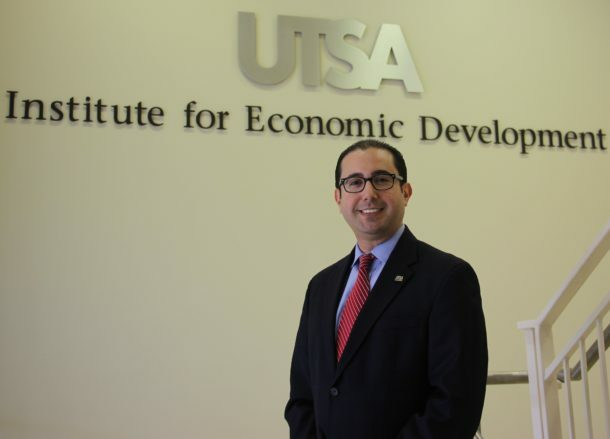 Jaime Martinez joined the UTSA San Antonio Small Business Development Center in 2007. He now is a Senior Project Manager for the International Trade Center heading up the Texas International Business Accelerator. Jaime’s role as a Senior Project Manager is to capture and create economic impact to the State of Texas in the area of Foreign Direct Investment. He provides specialized business advice to foreign investors to Texas in the areas of business advising, business plans, financial projections, and EB-5 assistance. He began his professional career in banking working in International Private Banking for nine plus years. Jaime holds a BBA in International Business from UTSA and an MBA in Management from Our Lady of The Lake University. 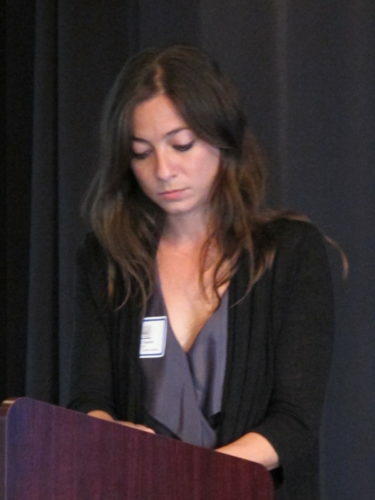 Carla Cardenas is the SBDCGlobal.com Project Manager at the International Trade Center. As the SBDCGlobal.com Project Manager, Carla oversees the development, maintenance, usage and promotion of the online trade platform, which connects the small business clients of the Caribbean, Latin America, and the United States SBDC networks with trade opportunities and education. Carla joined the International Trade Center in 2008 and previously served as an International Market Research Specialist. In this position Carla conducted and provided market research for the small and medium-sized businesses of the 79-county South-West Texas Border Region. Carla holds a Bachelor of Arts in International Relations with a minor in Business Administration as well as a Master of Arts in International Relations with a concentration in International Development, both from St. Mary’s University in San Antonio, Texas. She is also a Certified Global Business Professional (CGBP) as well as a Certified Scrum Master. Carla was born and raised in San Antonio and is fluent in English and Spanish. 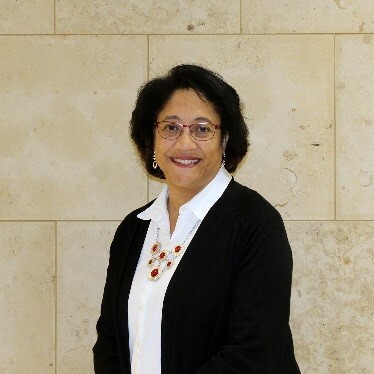 Reneé joined the International Trade Center in May of 2018. 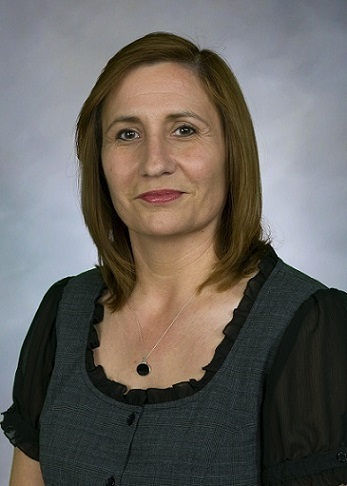 Previously she worked at the UT Health Science Center, School of Medicine for 19 years, 12 of which were as an Accounting Coordinator for the Department of Radiation Oncology as well as The Center for Medical Humanities & Ethics. Originally from the Rio Grande Valley, Reneé moved to San Antonio in 1998. 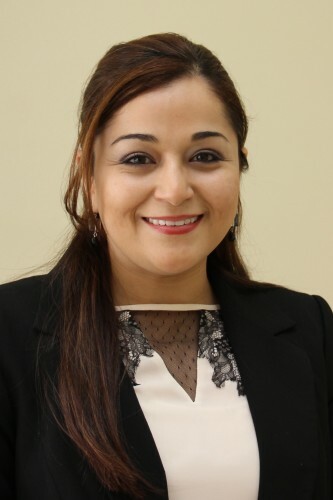 Anabel Guerra is the Client Management Specialist and Training Program Coordinator at the International Trade Center. As the Client Management Specialist, she manages the center’s consulting performance and productivity as part of a set of strategies implemented by the center to fulfill the organization’s vision. She also manages the center’s training programs in the development, planning, and coordination of International trade events. 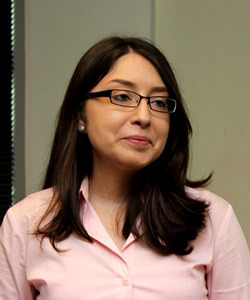 Prior to joining the International Trade Center in February of 2011, she worked at the UTSA Mexico Center as a graduate research assistant where she conducted various research projects of U.S. and Mexico related issues as well as assisted in the coordination and implementation of events. She holds a M.S. of Science in Sociology from the University of Texas at San Antonio. She is bilingual and bicultural having worked and lived in both Mexico and the United States. She is from Matamoros, Mexico. Janette is a Senior Project Manager at the International Trade Center. In this role, she assists the center’s director as a Finance and Contract Compliance Specialist regarding the development and negotiation of grant contracts, while maintaining compliance with the University policies and procedures. She also assists in the preparation of grant proposals that meet submission requirements, monitors grant progress to ensure grant objectives are met, manages grant budgets to ensure proper expenditure rates, and participates in and prepares for grant program audits and quality assurance reviews conducted by the University. In addition, she collaborates with the International SBDC Expansion projects facilitating in-country and web based training in English and Spanish, particularly regarding the center’s Client Management Processes and the on-line Client Management System known as Neoserra. Janette is also responsible for the recruitment and coordination of the International Market Research staff that supports the center’s advising staff. She also assists the center’s director with human resource matters and distribution of staff level of effort to ensure proper allocation of resources among projects. In her previous role as the Client Management Specialist, Janette supported the client intake and follow-up processes and managed the advising performance and productivity with the objective of fulfilling the goals and vision of the Center. Prior to joining the International Trade Center in 2006, Janette worked in the Manufacturing Industry where she participated in various projects related to engineering and research & development. She also supported a range of technology management projects through research and analyzing the diffusion of technology innovations in marketplaces. Janette holds a M.S. in Management of Technology from the University of Texas at San Antonio and a B.S. in Mechanical Management Engineering from the Universidad Autonoma de Nuevo Leon. She is a Certified Global Business Professional by NASBITE International. Furthermore, she is bilingual and multicultural having worked and lived in the United States, Slovakia and Mexico. Peter joined the International Trade Center in 2017 as a Sr. International Business Advisor. Prior to that, he spent about 15 years living and working on five different continents. Working with private companies, non-governmental and intergovernmental organizations as well as academic institutions, Peter’s work has focused in the areas of Sustainable Economic Development, Good Governance, Organizational Development, International Finance, Entrepreneurship, Education and Trade. He holds Bachelor’s degrees in Economics, Philosophy and Political Science, a Master’s Degree in Government and Politics with a focus in International Law and Diplomacy, and a MBA with a concentration in International Business.